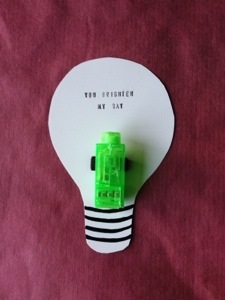 Here’s a fun valentine using finger flashlights. Just white card stock and a black Sharpie. Click here for a printable template or click here for a Silhouette file.